“Maybe there's a kind of friend love that opens you up... Maybe you didn't have a place for it within you before, but once it finds you out, crawls inside, and makes space for itself, you can't live without it ever again." This is one of those books I picked up solely because of the cover. I absolutely love simple covers like this one, and the whorls of blue and green paint instantly attracted me. Therefore, I didn't really pay much attention to the synopsis before I cracked the spine. However, I was pleasantly surprised by the moving tale of friendship and family that lies beneath the pretty cover. I can honestly say that Sloane is very unlike most female YA protagonists, and I couldn't decide whether I loved her for it or hated it. She's got a certain amount of cynicism to her character, mixed with a splash of sarcasm and the occasional biting remark. Still, she's not mean. It's as if she's buried the vulnerable and kind aspects of her personality behind a harsh façade, and Mills does an excellent job of weaving the many parts of her character together. For at least some portion of this novel, I kept wondering, "Where are we going with all of this?" That was probably the main aspect that kept me from really loving This Adventure Ends. There are a few main plot points and a general story, but sometimes it felt like it could have used just a little more umph. That's not a great way of describing it, but that's how I felt. I LOVED how Mills included Sloane's parents in the story so much. I get so sick of reading YA contemporaries where the parents are either (a) dead, (b) oblivious, or (c) totally MIA. Sloane's parents are extremely important to her, and much of the novel is dedicated to her relationship with her father. 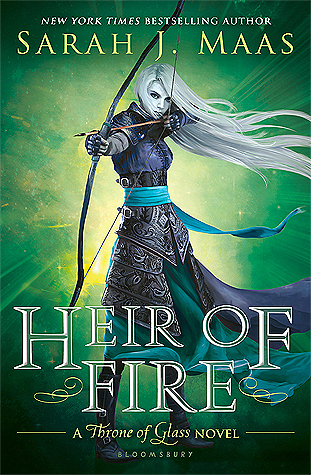 I love her father's character so much, and I want to thank Mills for reminding her YA readers that teen characters aren't the only ones with dreams or interesting personalities. Similarly, Mills depicts teen friendship in a candid way that I must admire. She shows the ugly sides, as well as the parts that make you feel like you have wings. There is something incredibly strong about the bonds formed in high school, and I think Mills does an excellent job of grabbing onto that theme and integrating it into Sloane's story. The ending truly convinced me to give this book four stars. It's powerful, and it kind of brings everything around full circle. 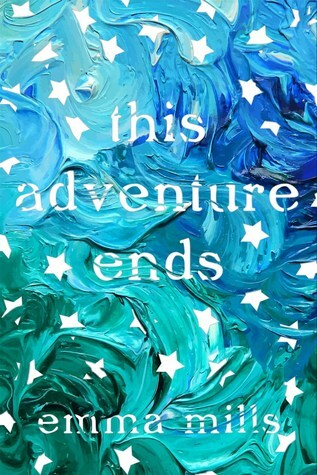 I'm not always a fan of contemporary YA novels, but This Adventure Ends was endearing and moving in ways I didn't expect it to be. Definitely give it a chance if you're in the mood for a heartfelt contemporary.